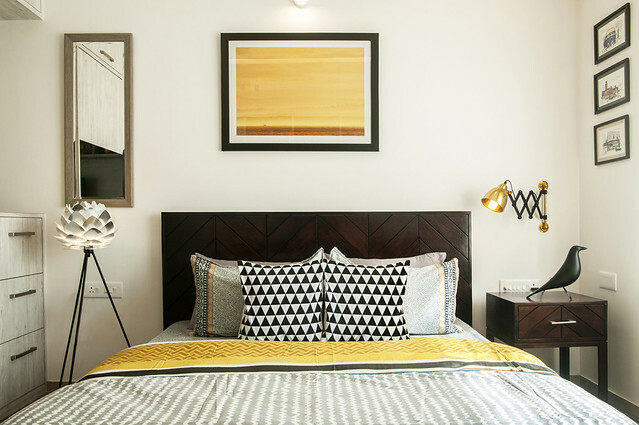 If you had INR 95,000 to set up a guest room, what would you add to your cart to make the room functional and aesthetic? Check out my list. We live in an era where we understand and appreciate the merits of shopping online – be it for our personal wardrobe or taking it as far as setting up a whole home. The convenience of comparing prices, designs, returns if it doesn’t match our preferences or dimensions are unparalleled. 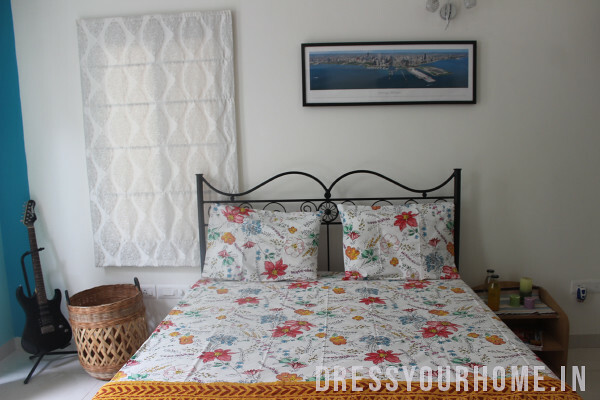 I wanted to illustrate how to set up a guest bed room in less than INR 95,000. 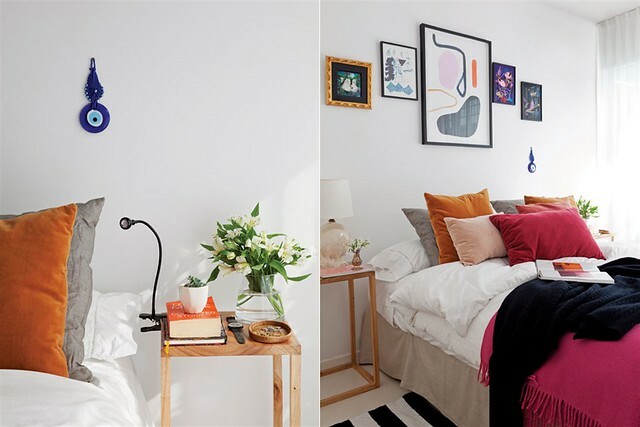 This is more along the lines of “Shop the look” you may find on many sites, but this is more comprehensive in that products are curated from multiple sites and chosen to fit a budget and a minimalist theme without going over the top. 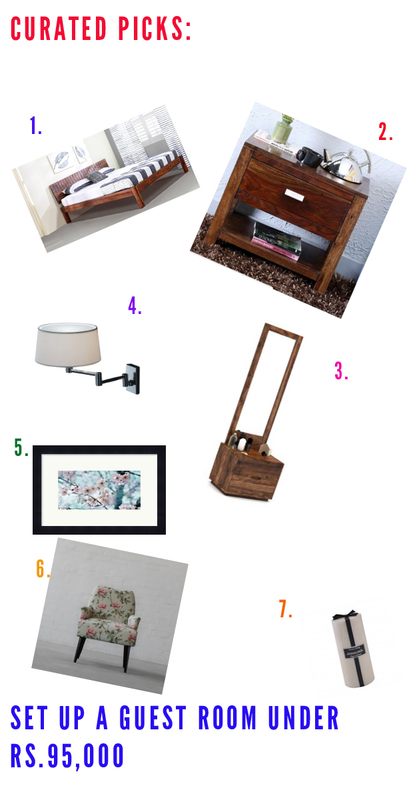 These are bare essentials for a room. Having said that, the room will not have a bare look once you are done as the artifacts will bring in the aesthetic appeal. Just so you know, the post has a lot of links linking to the respective sites. This is NOT a sponsored post and contains links if I were to buy the products. 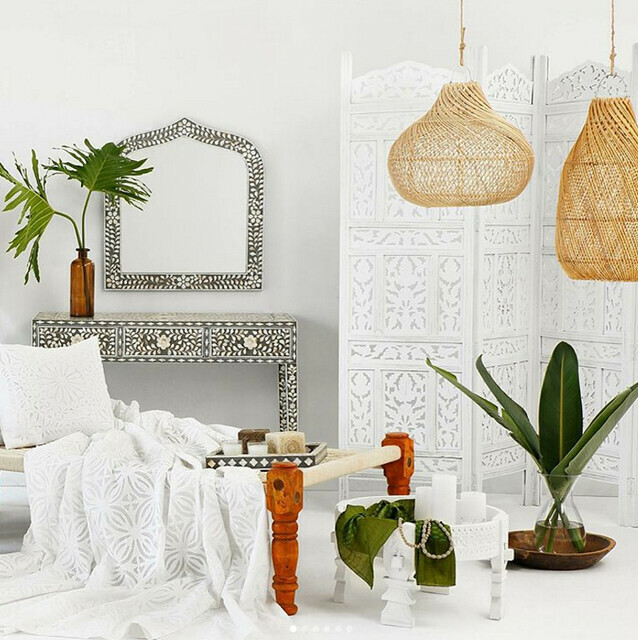 If you are in the process of renovating your bed room or setting it up afresh, I wanted to showcase products that you can buy online under a budget of Rs.95,000. This is a modest budget considering you are starting off with an empty room. This, in short, means that you are shopping for everything from a dresser to rug for the room. To keep things simple, I am going with a modern minimalist look. The picture below outlines all that you would need in an empty room. Vanilla candles for the bedside table. 1. Valencia Bed from Urban Ladder for Rs.31999. The other option was Brandenberg bed for Rs.19,999. But I did not go with it because it is a low bed that may put a strain on the knees if you have a knee issue and not a solid wood bed. 2. Bed side tables: Oriel one drawer bed side table in provincial teak finish by woodsworth for Rs. 11798 for 2 tables. 3. Zephyr dresser with mirror for Rs. 14,999 from Urban Ladder. 4. Extendable wall sconce from Ivanka Lumiere for Rs.1650. So, 2 of them for Rs. 3300. 5. Artwork (36″*20″) for Rs. 7355. Alternatively, a framed print of the London Eye for Rs. 9458. Two blackout beige curtains for Rs. 2500. You can choose an alternate sheer in patterns or block prints in a different color such as golden to bring in some freshness. I usually don’t prefer curtains to be in standout colors as it can get boring after a while. 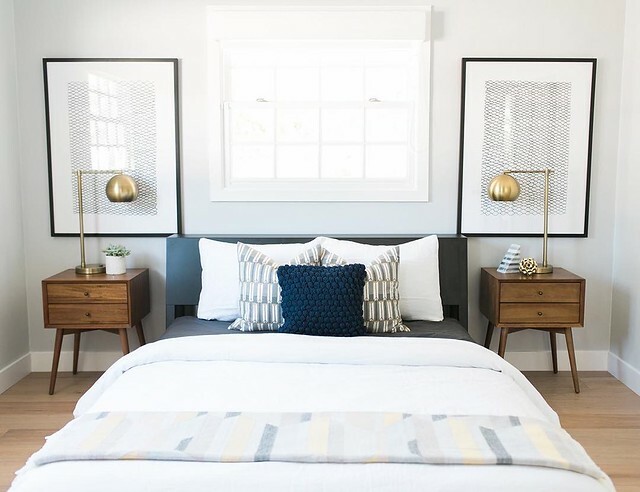 A neutral color such as beige/golden blackout is a great option for guest rooms as it keeps the light out and offers scope for bringing in color through artifacts. 6. 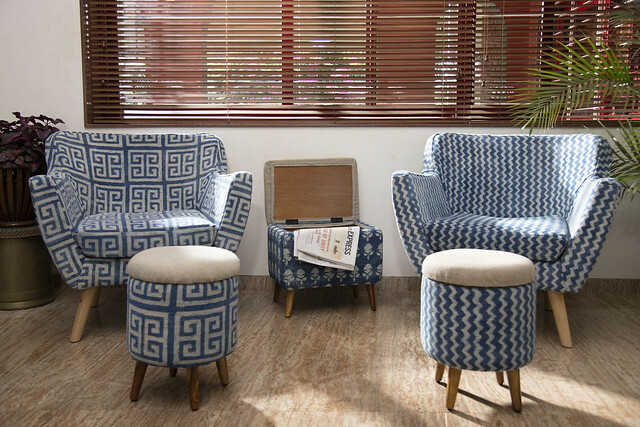 An arm chair for convenient seating for Rs. 17,900. This matches the cherry blossom artwork. 7. Aromatic candles for Rs. 1500 from The Yellow Door store. Rugs: either the Amaro Dhurrie or the Matelski hand tufted carpet. I also liked the spice route rug from Rug Republic. Wall clock for Rs. 3848. The total comes to Rs.93,454 excluding the optional items. The balance gives some room for taxes. 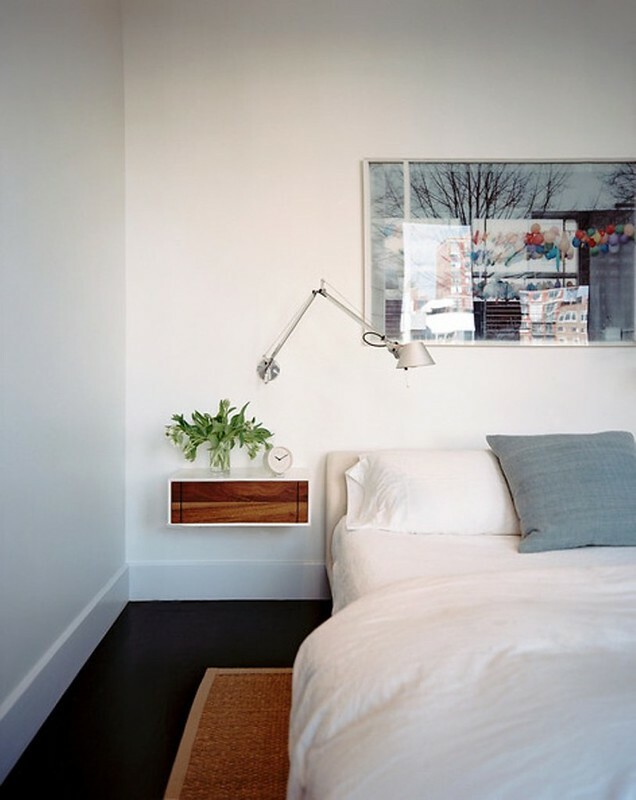 And now, some more minimalist to inspire you to get started. 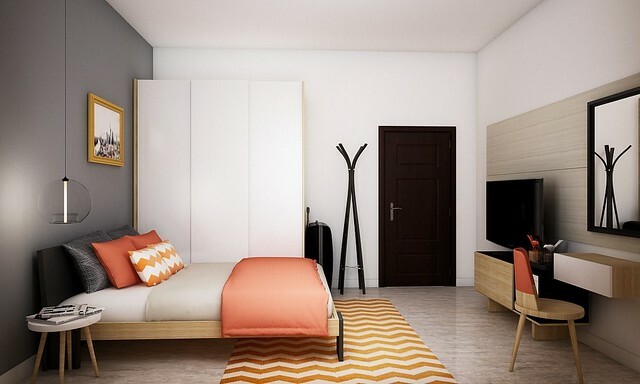 These will show that the rooms need not lack personality. You can add your touches (and I don’t mean family photographs) like travel souvenirs to add your imprint to this space. We are looking for that fine balance. This post was the first of its kind. If you found it useful, I would appreciate if you can leave a comment so that I know a continuation of this series will be in line with your expectations. If you liked the rooms shown here, you would love to tour the rest of the home.